One source for all the vital data your treatment team needs. Fully integrated data management for multiple Accuray systems and clinics. The modern practice needs tools that empower smart, new workflows. The iDMS® System lets clinicians’ teams work in bold new ways. They get remote viewing of daily imaging activity. Digital approval and signing capabilities. Exceptional data security measures. Disaster recovery and automatic backup features. And seamless integration with our treatment planning software — so they can control everything from one powerful interface. Automatically collect and store all patient data from all Accuray systems in one central location. Easily access and share data from multiple locations to enable collaboration and remote workflows. Connect treatment teams and treatment technologies with vital patient data that drives more precise cancer treatments. Explore iDMS® and its ability to easily share patient data with a robust set of security features to prevent unauthorized access. Centralize the vital patient data that drives treatment planning and delivery.Store, process and manage all data generated during both the Accuray Precision® Treatment Planning workflow and the treatment delivery. Leverage fully integrated patient data management and treatment planning to fuel the highly automated and intelligently streamlined treatment planning workflows of the Accuray Precision® Treatment Planning System. Free treatment teams to efficiently collaborate to develop and deliver effective treatments. 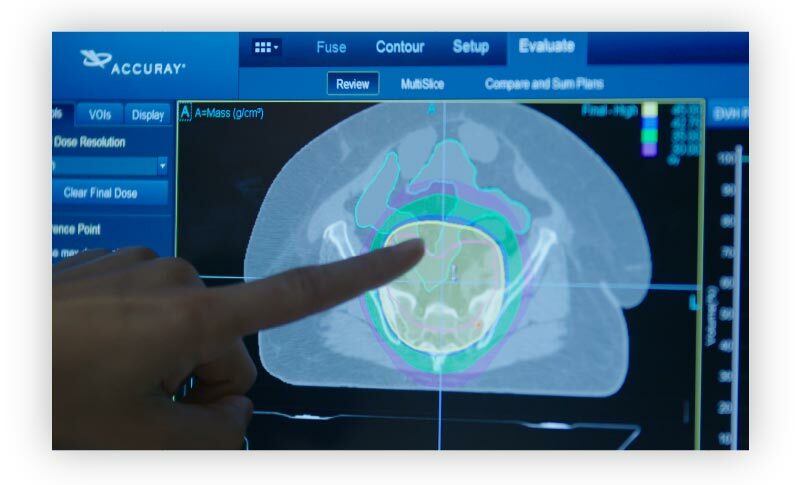 Access and share patient data from any compatible Accuray treatment planning workstation or Accuray treatment delivery system. Empower your team with remote capabilities that speed treatment planning workflows and enable highly productive new ways of working. View daily imaging reports, review and annotate treatment plans and submit digital authorizations and approvals — any time, from any compatible Accuray workstation. Leverage a centralized store of all patient data to simplify and enhance reporting capabilities. Easily integrate with Oncology Information System (OIS) interfaces. Quickly generate custom reports using DICOM data import/export. Protect your most valuable asset — your patients’ information. Standard features deliver state-of-the-art data security tools to mitigate risk, including granular control over user privileges and patient data access. Automatic backup and disaster recovery features protect business continuity. Take patient data storage and management capabilities even further with the optional Storage Vault feature. Connect with an Accuray expert. Get the data integration and data security answers you need.